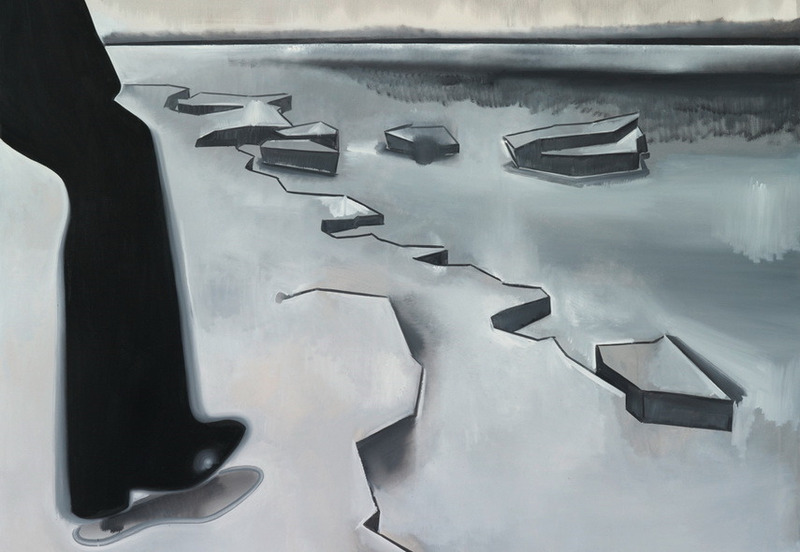 The variations on media and topics in the work of Wilhelm Sasnal seems to be in service of the constant research of personal and collective experience in regards to history. His multimedia artistic practice is grounded in absorbing inspiration from 20th-century propaganda, photojournalism, and art history. By constructing his own authentic and slightly bizarre imagery suffocated with strong social and political references, Sasnal develops well thought and dense narratives which are delicate and rather critically charged. 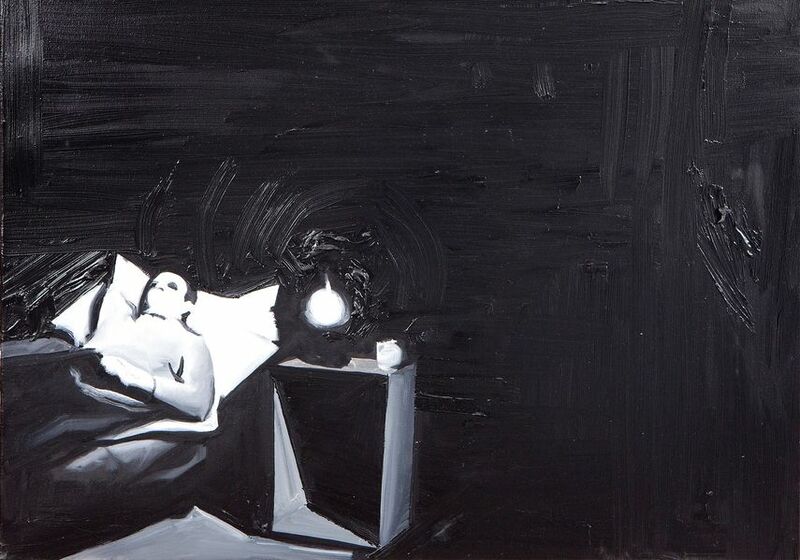 Wilhelm Sasnal is born in 1972 in Tarnow, Poland. He studied painting at the Academy of Fine Arts in Kraków until 1999, but before that studied architecture for two years at the Polytechnic In Krakow. During the studies, Sasnal became involved with the art collective called the Ładnie Group. The title meant pretty or nice and the group embraced exactly the opposite, rather unconventional, aesthetics and was active until 2000. After that, Sasnal worked for advertising companies but simultaneously made paintings, photographs, films. Over the time as his career grow the artist’s work became part of public collections of such institutions as Tate Modern in London and Museum of Modern Art in Warsaw. After the departure from Ładnie Group, Sasnal began to expand his stylistic and formal means of expression and moved closer to the phrase engaged artist. For his upcoming and important group exhibition, the artist published a comic book entitled Życie codzienne w Polsce (Everyday Life in Poland). The whole narrative rotates around his personal life and was based on agenda of depicting difficult life conditions in post communist society. By extending his field of experimentation and devoted fully to empowering his personal art agenda. Sasnal’s heterogenous approach to media provides him with a possibility to express his sensations each time differently. Pencil drawings, ink drawings, photographs, videos and paintings vary, yet all of his works, more or less, are usually rotating around the bodies, empty spaces or vast landscapes. Nevertheless, the artist is perhaps mostly dedicated to painting. From banal everyday objects, portraits of historical figures, views of his home town Cracow, snapshots of friends and family members or images from the internet or mass media, Wilhelm Sasnal is incorporating and wisely constructs the composition. In general, the approach of his is unpredictable and methods he uses are ranging from graphic reduction and a pointedly two-dimensional, illustration-oriented style to expressive gestures with brush and paint. 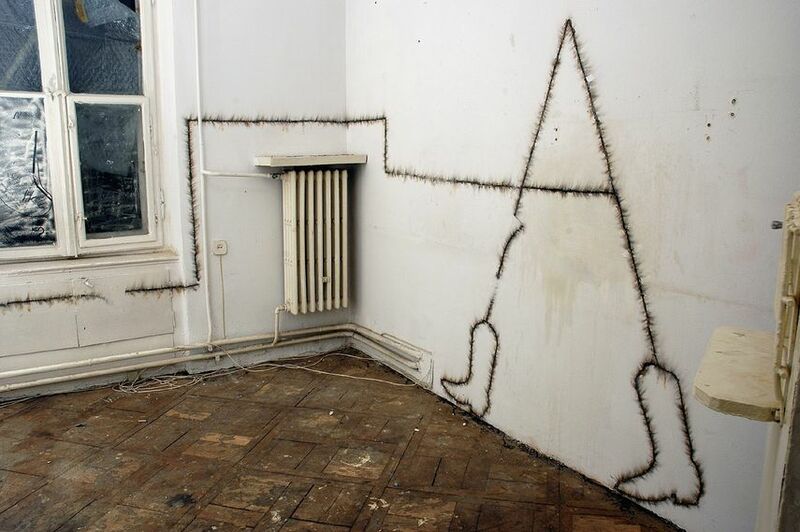 Although entire opus of his is related to the critical interpretation of the Communist era and on the post-Communist imagination, the artist draws inspiration from various different sources. For example, graphic Holocaust novel Maus from 1973 and stills from Claude Lanzmann’s 1985 documentary Shoah were used as source material for some of his works. In 2008, for the work titled symbolically Swiniopas (Swineherd), Wilhelm Sasnal used Hans Christian Andersen fairy tale of the same name, yet adapted it as a story of a swineherd who smuggles letters back and forth between a farmer’s daughter and her lesbian lover. On the other hand, in 2013 the artist realized the series of works around the theme of Kodak, the famous film and camera manufacturer in order to address issues of picture-taking and picture-making. 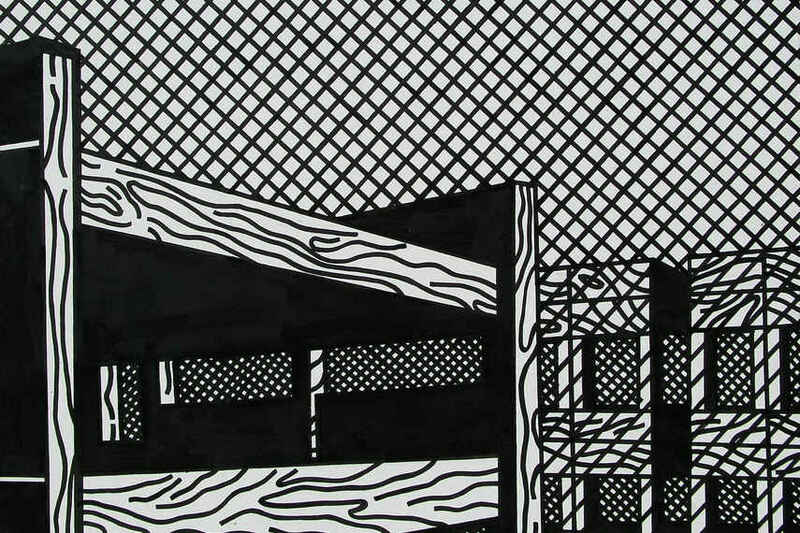 Besides painting, comics and photographs, Sasnal is using film which has a significant part in his opus. Namely, it is a hybrid format since, somewhere in between film and video, usually made in collage manner out of his favorite music clips, recordings of leisure, or slightly bizarre situations like car accidents or air crushes. Each work is full of references from Polish popular culture – especially music and movies. 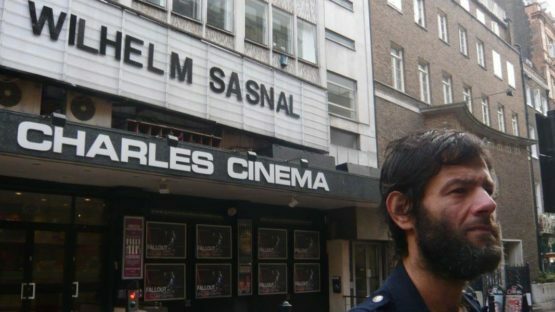 In one point, Wilhelem Sasnal began making films on a 8 mm camera. In 2011 he produced a short film titled It Looks Better From a Distance together with his wife Anka Sasnal, which began making the rounds of festivals and other venues, including the Museum of Modern Art in New York and the International Film Festival in Rotterdam. Actually, it was an artistic experiment with traditional forms of narrative and dialogue, drawing mainly from a strong visual pace. The artist is rather hooked on the music that gets him in a creative mood. Namely, while in production mode, Sasnal does about half and hour of work and then has a break between records. The playlist is usually formed out of very simple songs, which are classical in structure – from Elvis Presley to Slayer. Some of them ended up in his films. 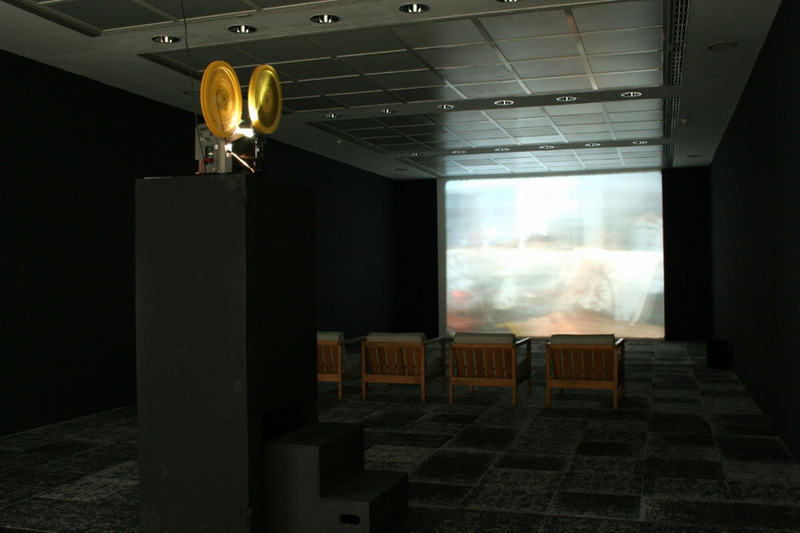 The video work The Band (2002) was made during a live performance of indie rock band Sonic Youth, while the 16-mm film projection Untitled (2007) is based on found-footage from the late 1970s of Elvis Presley. 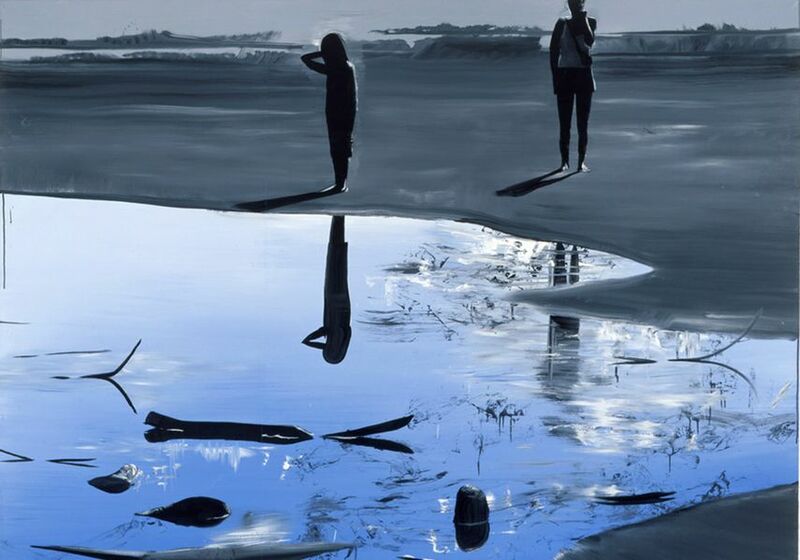 The large number of solo and group exhibitions and notable critical reception proved that Wilhelm Sasnal is a highly ranked and authentic artist, so naturally, in 2006 he was a winner of the Vincent van Gogh Biennial Award for Contemporary Art in Europe. His ongoing activity is uncompromising and stands as a fine example of artistic practice in accordance with contemporaneity since it deals with the complexity of our everyday lives intersected by various political and social factors. 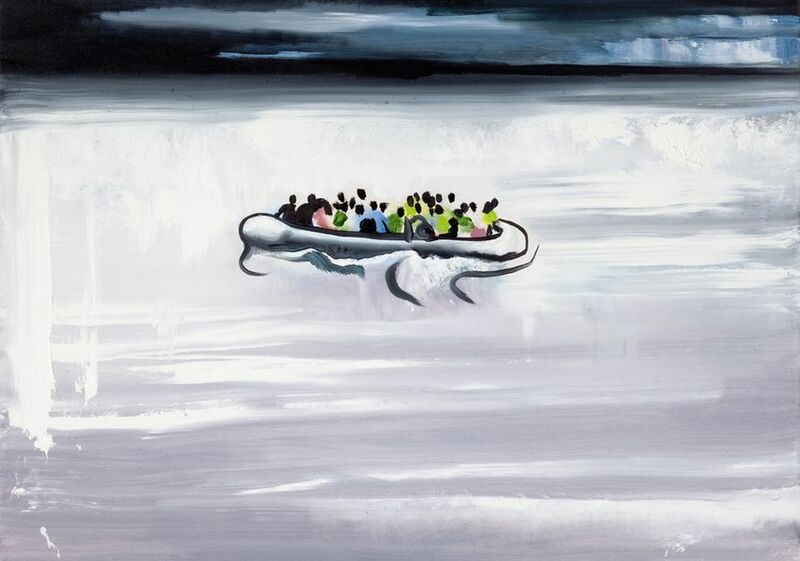 Wilhelm Sasnal lives and works in Warsaw.